These are websites that are popular and may be restricted during the school day. They do however provide educational value and are used by millions of children across the United States. Animal Jam – Animal Jam is an award-winning online animal game for kids. Play educational animal games in a safe & fun online playground. 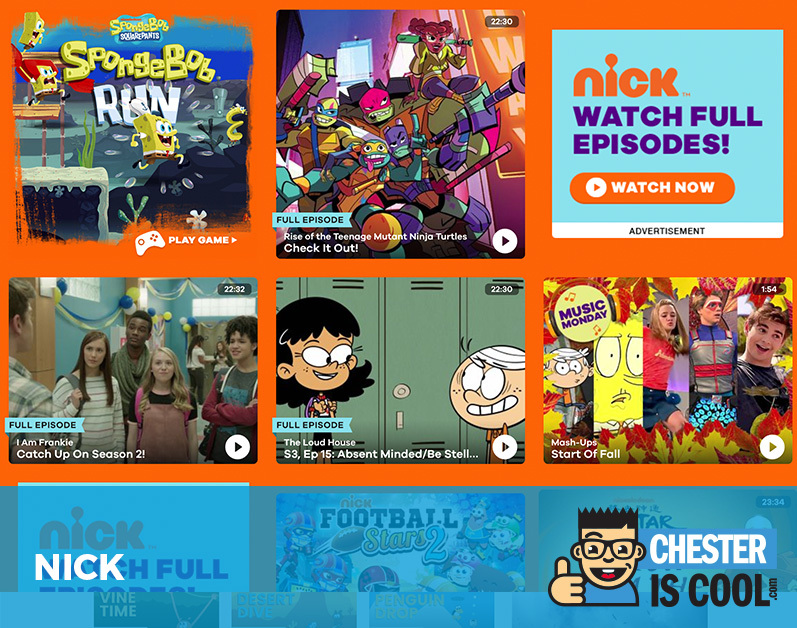 Cartoon Network – Cartoon Network is the best place to play free games and watch full episodes of all your favorite kids TV shows with apps and online videos! Club Penguin – Disney’s Club Penguin Island is a place where your adventures begin! Kids can chat with friends, create styles, quest for special items, and more. 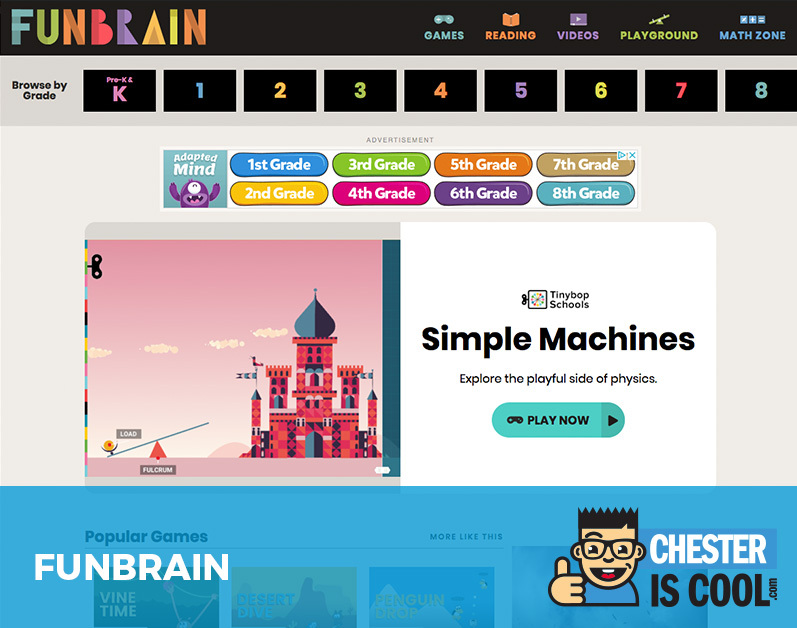 CoolMathGames – Coolmath Games is a brain-training site, for everyone, where logic & thinking & math meets fun & games. Disney Channel – Watch Disney Channel TV shows, original movies, full episodes, and videos. Play Disney Channel games. 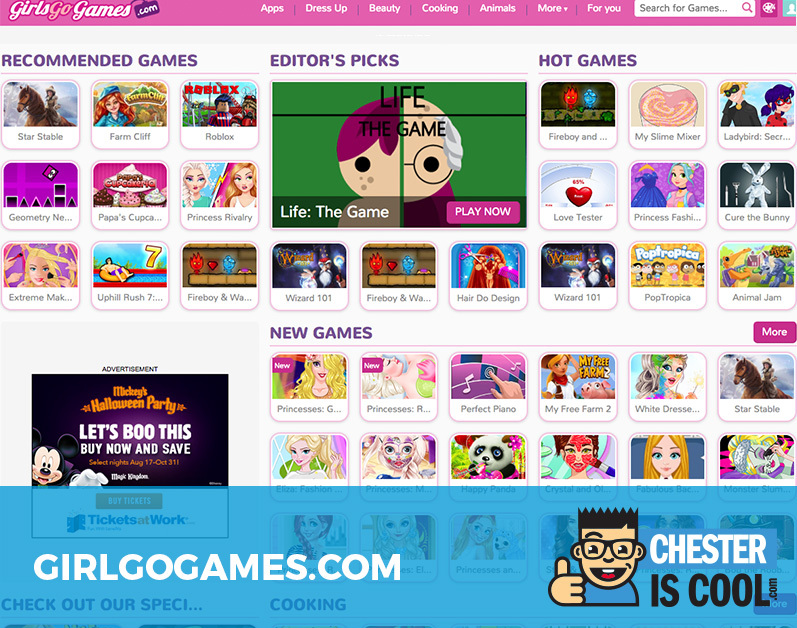 GirlsGoGames – Popular games designed for girls that include Roblox, Geometry Neon Dash, Papa’s Cupckeria and Princess Rivalry. Lego – The official home of the toy building brick with links to products, games, videos, the LEGO® Shop, LEGO history, fan creations, and our help center. MoshiMonsters – A British website aimed at children aged 6-12, with over 80 million registered users in 150 territories worldwide. Neopets – Virtual Pet Community! Join up for free games, shops, auctions, chat and more! Nick – The official nick.com site with all your favorite episodes, games, clips, playlists & pictures from shows like SpongeBob Squarepants, Sam & Cat and more. Nick Jr. – Play preschool learning games and watch episodes and videos that feature Nick Jr. shows like Paw Patrol, Blaze and the Monster Machines, Dora and more. PBS Kids – Educational games and videos from Curious George, Wild Kratts and other PBS KIDS shows! Primary Games – Free mobile games & videos on touchscreen devices including iPads, Droids, Kindle Fires, tablets or mobile phones from PrimaryGames. Poptropica – A virtual world for kids to travel, play games, compete in head-to-head competition, and communicate safely. Stardoll – Dress up games for girls at Stardoll. Dress up celebrities and style yourself with the latest trends. Universal Kids – Universal Kids is a TV network for kids featuring a fresh mix of animated content, unscripted entertainment, and scripted storytelling. Webkinz – A multi-award winning virtual world for boys and girls aged 6+.